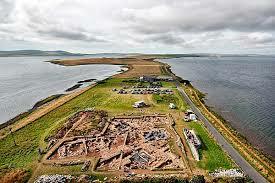 Ness of Brodgar dig dates for 2018 are 2 July to 24 August. If you would like to help OAS at the Ness shop and meet and greet as well as car park help we would be grateful for any time you can spare. The shop raises a considerable amount each year to help keep the Ness dig running as well as helping out other Archaelogy projects in Orkney. Come and help us.